Days after its sub-brand Honor launched the Honor 9N in India, Huawei just launched the Nova 3 and Nova 3i smartphones in India. The more premium of the two, the Nova 3 has been priced at Rs 34,999 for a variant with 6 GB RAM and 128 GB of storage, while the Nova 3i starts at Rs 20,990 for the base variant with 4 GB RAM and 128 GB storage. Both phones will be sold exclusively on Amazon and will start selling from 7 August. The highlight for both the Nova 3 and Nova 3i are that they feature dual-front and dual-rear cameras, despite the difference in price. Both smartphones also feature a notch and 19.5:9 aspect ratio display. 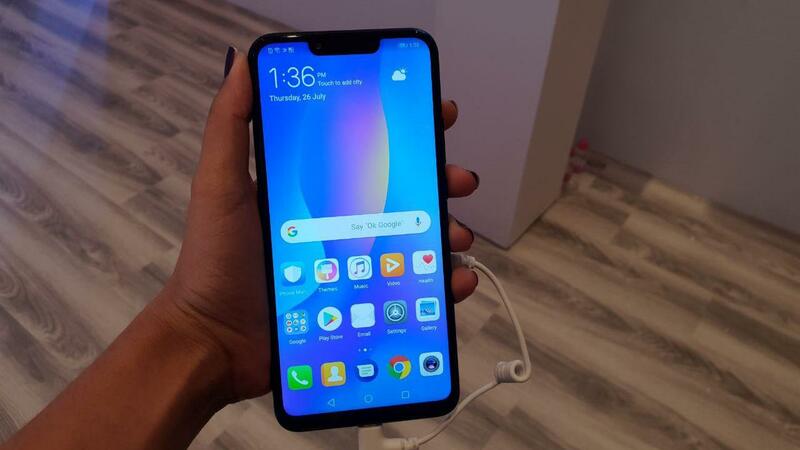 The Huawei Nova 3 features a bigger 6.3-inch Full HD+ LCD display with an aspect ratio of 19:9. Weighing 166 grams, the smartphone sports a fingerprint scanner on the back. In terms of optics, the back of the phone has a 16 MP f/1.8 RGB primary sensor and a secondary 24 MP monochrome sensor. Moving on to the front, Huawei has managed to fit the Nova 3 with two cameras despite the size limitation of the notch. Here we get a primary 24 MP sensor and a secondary 2 MP sensor for better bokeh. Inside, we get the octa-core Kirin 970 chipset with four performance Cortex-A73 cores clocked at 2.4 GHz and four low-powered Cortex A53 cores clocked at 1.8 GHz. Huawei has also thrown in a 3,340 mAh battery unit along with its Super Charge feature. The Nova 3i, on the other hand, gets a 6.3-inch FHD+ LTPS display with a resolution of 1080 x 2340 pixels and pixel density of 409 PPI. The smartphone features the new HiSilicon Kirin 710 SoC which replaces last year’s Kirin 710 chipset. Storage on the handset is also expandable up to 256 GB via a microSD card. Moving to cameras, the Huawei Nova 3i bears a vertical dual rear camera setup featuring a 16 MP primary sensor and a 2 MP secondary sensor. On the front, the phone gets yet another dual camera module with a 24 MP primary sensor and a 2 MP unit dedicated to collect depth data. The phone gets a 3,340 mAh battery inside it to keep things chugging along.